Despite the popularity of hemp seed oil products, there are currently no standardized analysis techniques. 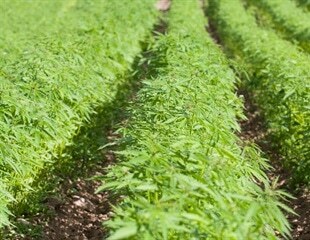 To this end, researchers have been exploring the use of HPLC-MS for cannabinoid profiling of hemp. Scientists have developed a rapid, sensitive and cheap test for vitamin D3 levels in blood for clinical assessment, with complete analysis costing $0.70 per sample. Newsletter marketing is an established practice. Research has shown that for every $1 spent on emailing marketing, companies make an average $44 return. Genevac reports on how its hydrochloric acid (HCl) resistant EZ-2 evaporator offers significant benefits to clinical labs tasked with analyzing plasma, blood or urine samples for neonatal disorders. Cancer researchers have made great strides in developing targeted therapies that treat the specific genetic mutations underlying a patient's cancer. An international team of researchers from the Moscow Institute of Physics and Technology, Forschungszentrum Jülich, the European Synchrotron Radiation Facility, the Institut de Biologie Structurale, and the Max Planck Institute of Biophysics has determined the 3-D structure of channelrhodopsin 2, a membrane protein widely used in optogenetics to control nerve cells with light. Learn more about the multiple standard addition for ion determination in food - sodium, nitrate, magnesium, etc. – in a new webinar from METTLER TOLEDO. Ellutia Chromatography Solutions, the world-renowned gas chromatography instruments and solutions company, officially opened its new state-of-the-art facility in Lancaster Way Business Park, Ely, on 28th February 2017, consolidating its offices, laboratories, production and warehouse on one site. Even though Olympic swimmers have admitted doing it, peeing in the pool is not a condoned practice. Urine contributes to the formation of compounds in pool water that can be harmful to people's health. Soon in virtually every hospital it will be possible to identify the bacterial species responsible for an infection developing in a patient in a matter of just a few minutes. Academics in the University of Surrey's Department of Chemistry have developed a new diagnostic test for cocaine and benzoylecgonine (the main metabolite for cocaine) in urine and oral fluid. Scientists from the Welcome Trust Sanger Institute and their collaborators have discovered 17 rare human genetic variations associated with risk factors for diseases such as heart disease and diabetes. We started from theoretical inorganic to bioinorganic chemistry, so looking at metals in proteins, enzymes and so on. About 30% of all the proteins that we have are metalloproteins, so it’s a huge contribution that inorganic chemistry is providing for life. Could bacteria in your gut be used to cure or prevent neurological conditions such as post-traumatic stress disorder (PTSD), anxiety or even depression? Two researchers sponsored by the Office of Naval Research (ONR) think that's a strong possibility. Seafish are known for their capability to accumulate toxic trace elements like mercury or arsenic. These elements are metabolized and end up chemically bound to organic compounds found in cell constituents like the membranes. One in four cases of colorectal cancer detected in a guiac faecal occult blood testing programme are diagnosed within two years of a negative screening result, a study in the UEG Journal has found, suggesting that gFOBT should be replaced by more sensitive screening methods to improve detection rates. A suite of analytical innovations used to detect and measure very low levels of compounds and elements for environmental, national security and health applications has topped $10 million in licensing income for Pacific Northwest National Laboratory and its operator Battelle. Drug testing is most commonly performed using urine samples. The methodology and regulations for reliable urine testing are well developed and can be considered the current gold standard for drug testing.